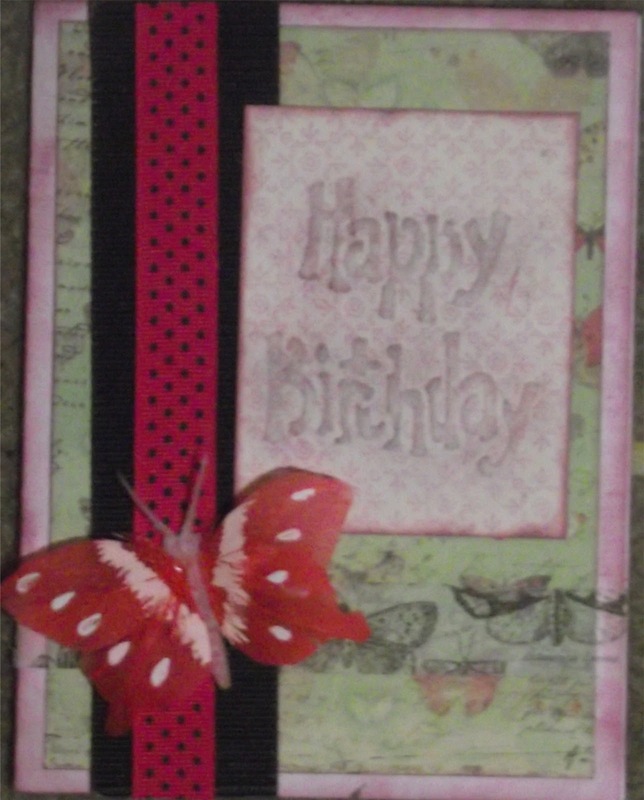 My 3 choices were corrugated cardboard/paper (the black strip), dry embossing (the sentiment), and washi tape (a strip of butterflies going across the card under the feather butterfly). Thanks for stopping by. I hope to get back on track with my creating for the New Year.